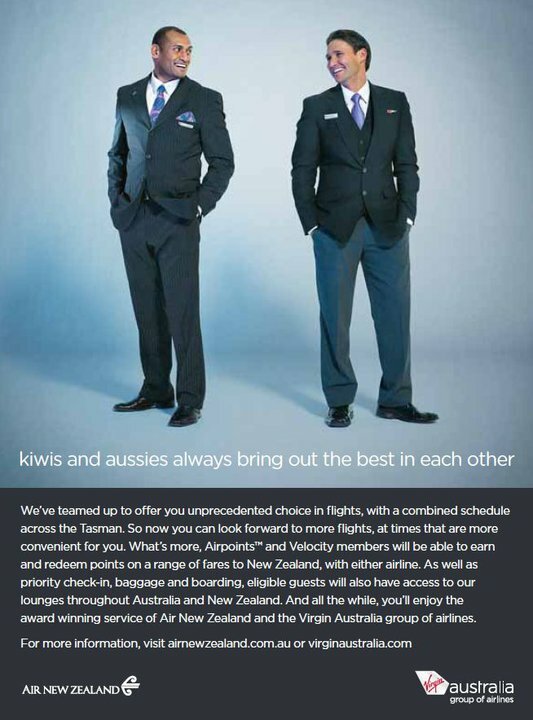 Virgin Australia and Air New Zealand have launched their joint advertising campaign's as their new trans-tasman alliance begins. 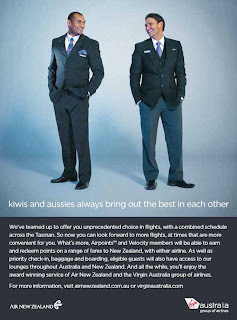 Air New Zealand's "Bromance" sale is an interesting one (name wise), but it does include some good deals for the introduction of the alliance. At time of writing the Virgin Australia website was showing advertising for their daily happy hour sale. But in their media release section is the release pertaining to the new tie-up (HERE) below is an extract of what customers can expect. Complimentary tea, coffee and water in-flight to all customers, as well as a food and beverage service for customers on the relevant fare types. The new Virgin Australia food and beverage service includes a continental breakfast, lunchtime wrap or evening meal with alcoholic and non-alcoholic drinks. Jetstar Cabin Crew fatigue issues?